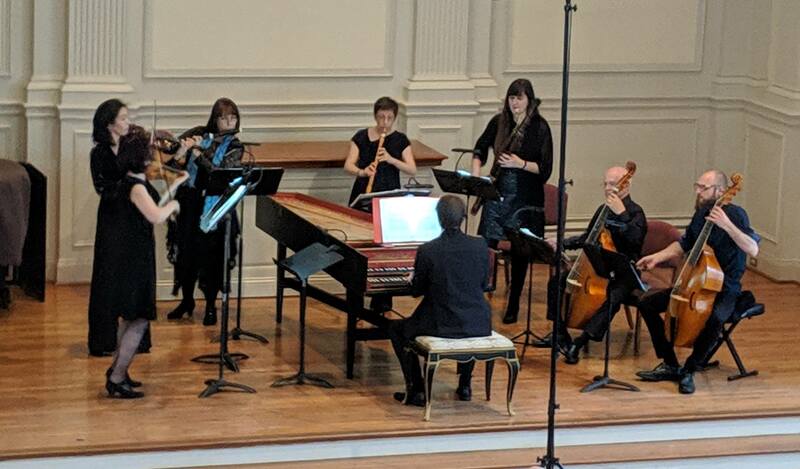 If you were able to shut down your peripheral vision in Kulas Hall at the Cleveland Institute of Music on March 1 and focus only on the stage, you could imagine yourself sitting in the stalls at the Paris Opéra in 1757, watching the revival of Jean-Philippe Rameau’s Hippolyte et Aricie. 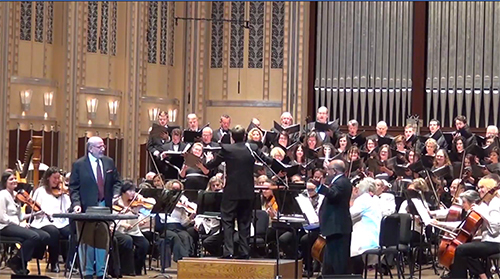 The delightful joint production by CIM Opera Theater and Case Western Reserve Baroque Ensembles featured smart staging by Ellen Hargis, imaginative choreography by Julie Andrijeski, and fastidious orchestral playing led by Harry Davidson — all of those elements historically informed. 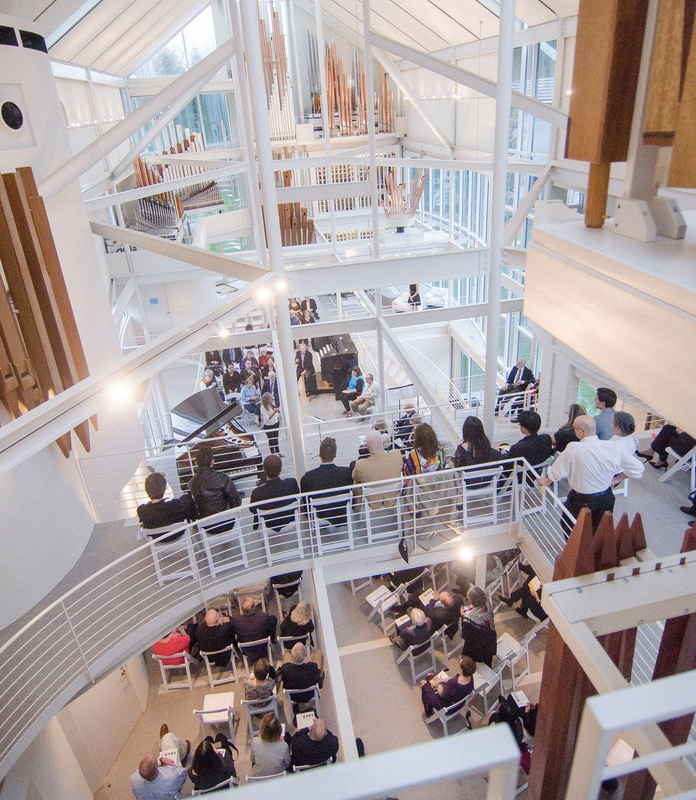 The performances celebrated the 50th anniversary of the joint Case-CIM music program. 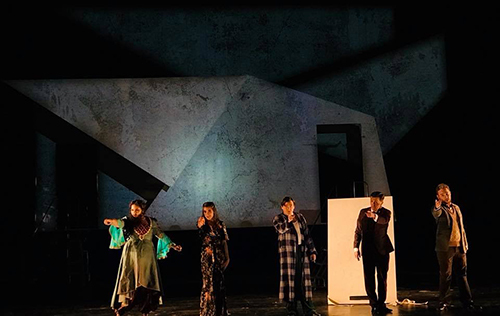 Although based on a tale from classical antiquity as retold in Jean-Baptiste Racine’s Phèdre, like many Baroque operas Rameau’s puts its tragic story on hold from time to time in favor of a variety of divertissements. 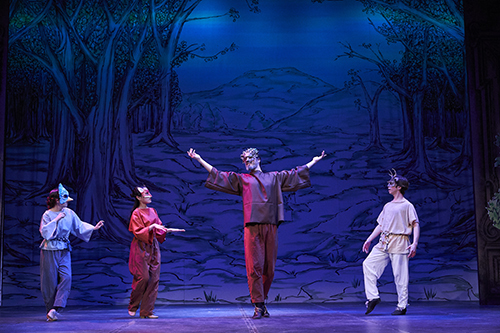 In addition to the main characters of the tragedy, the cast includes Furies and Fates (during the obligatory visit to the Underworld), priestesses of Diana, sailors, huntresses, shepherds, and habitants de la forêt (a bear, a tree, a bird, a stag, a fox), all of whom are likely to break out into a dance at the least provocation. The simple but effective stage design based on Baroque theater models allowed the actor-singers to pull panels out of the wings of the set to suggest Diana’s forest, Hades, and Thésée’s seaside palace. A wind machine and flashing lights (yes, electricity was allowed) helped to create two convincing thunderstorms. Friday’s cast was vocally strong and their stylized gestures helped to replicate the dramatic ethos of French Baroque theater. As Hippolyte and Aricie, Nathan Daugherty and Siyeon Kim made an attractive pair vocally and dramatically. Daniel Fridley was a commanding Thésée, Brianna Nemback a fine Phèdre, Polina Davydov a memorable Diane. 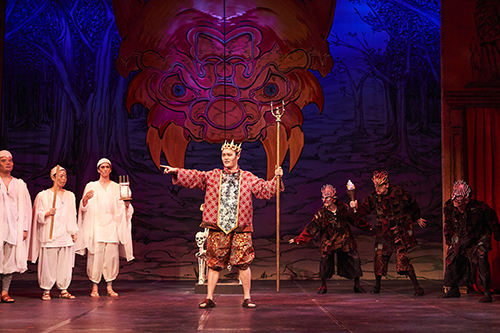 In Hades, Ziaoyang Zhang sang a chilling Pluton from his throne of skulls, assisted by the non-singing Furies (Joshua Druckenmiller and CIM Opera director Dean Southern), who salivated viciously and mugged crazily at the audience while the three Fates circled each other zombie-like, pausing now and then to cut off someone’s thread of life. 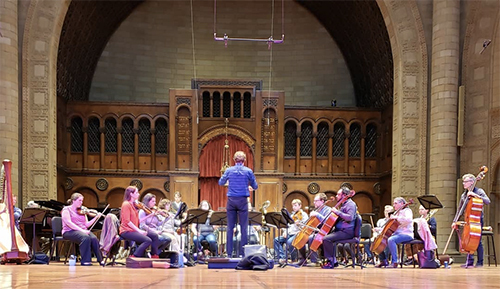 On a more somber note, Oberlin Opera Theater took on Francis Poulenc’s Dialogues of the Carmelites from March 13-17 in Hall Auditorium, with the Oberlin Chamber Orchestra under guest conductor Christopher Larkin. Director Jonathon Field, scenic designer Laura Carlson-Tarantowski, and lighting designer Jeremy K. Benjamin created an austere ambiance for the story of the nuns of Compiègne who perished under the blade of the guillotine for refusing to renounce their faith during the Terror of the French Revolution. Dangling streams of bright LED lights added garish highlights to the narrative. 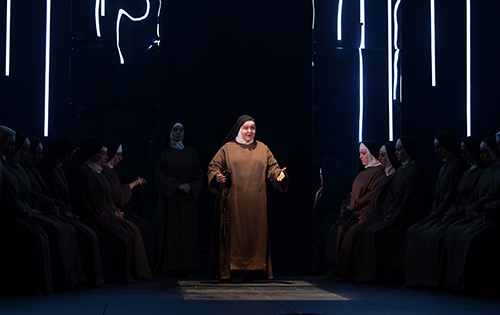 On Sunday, March 17, the double-cast production featured Magdalena Kuzma as the irresolute young novice Blanche de la Force, Abby Orr as her bubbly friend Sr. Constance, Alexandra Prat as the dying Prioress Madame Croissy, Whitney Campbell as the Prioress’ successor Madame Lidoine, and Gabriela Linares as Mother Marie, the prioress-apparent, who was passed over in favor of Madame Lidoine. Outside the monastery walls, Kyle Miller sang Blanche’s brother the Marquis, and Seyquan Mack the Chevalier. 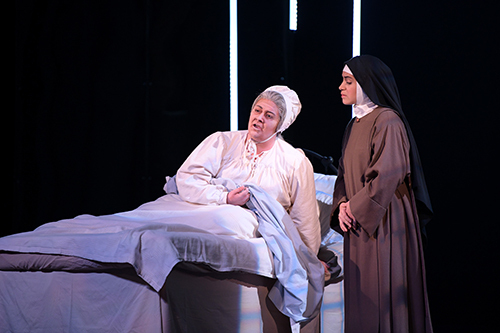 Vocally, the cast was uniformly strong, but as the Prioress, Alexandra Prat stood out for the gripping drama of her death scene. 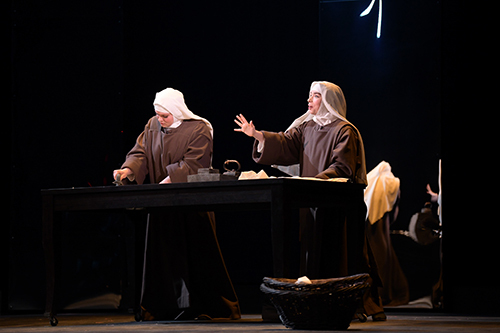 Prepared by chorus master Gregory Ristow, the nuns came together as a choir at several points in the story, beautifully singing Poulenc’s original music to standard Latin hymns. The wrenching final scene of Dialogues, when the sisters, one-by-one, approach their execution, is a challenge for any stage director. Field moved that action front and center, but handled it tastefully. As the knife fell each time, a nun slumped, collapsing in a heap on the floor until the stage was strewn with bodies and the hymn Salve Regina was finally cut off as Sr. Constance and Blanche met their demise. 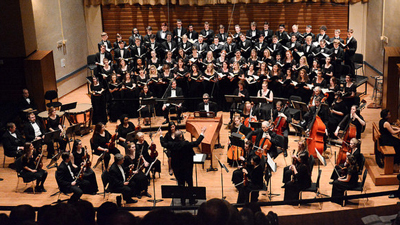 Poulenc’s music in Dialogues visits every corner of his wide-ranging style, and Larkin and the Oberlin Chamber Orchestra supported the singers superbly. 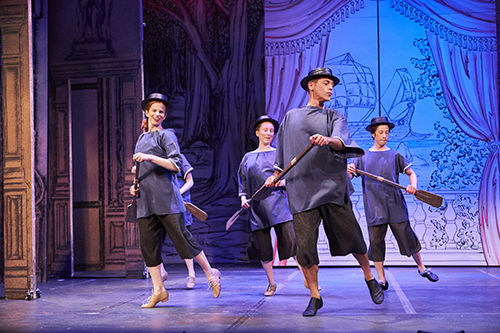 The fourth performance of the run was marred by a few technical glitches — more than once the curtain came down stranding a prop on the audience side, and at one point a curtain rail descended too far, revealing its rigging. Small stuff in an otherwise polished production. 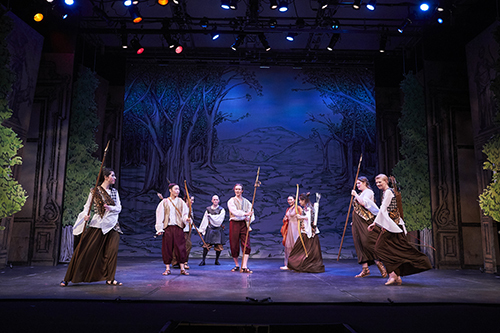 Baldwin Wallace Conservatory maintains two streams of voice students: its musical theater division routinely produces fine Broadway-style singer/actors, but its voice performance department is no less assiduous in preparing students for opera. 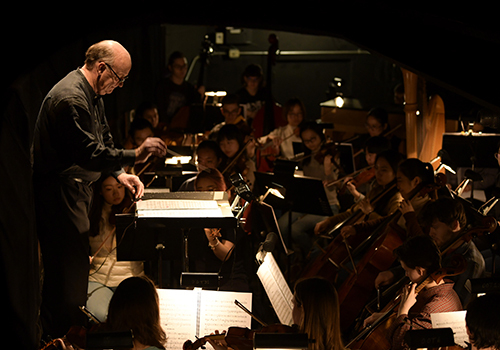 Scott Skiba, BW’s director of opera studies, set a big challenge for his singers in staging Stravinsky’s The Rake’s Progress at the Kleist Center last week. 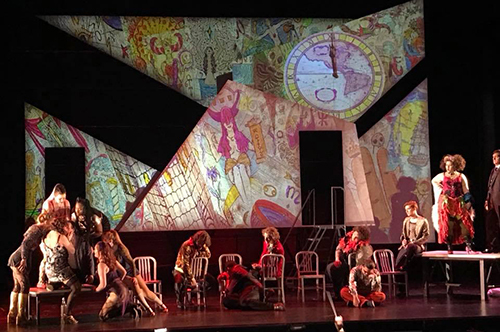 Bolstered a bit by a BW alumnus and two voice faculty members, Sunday’s cast on March 24 turned in fine performances of the Hogarth etchings-inspired tale of Tom Rakewell and his pact with Nick Shadow (the Devil in yet another guise), with libretto by W.H. Auden and Chester Kallman. 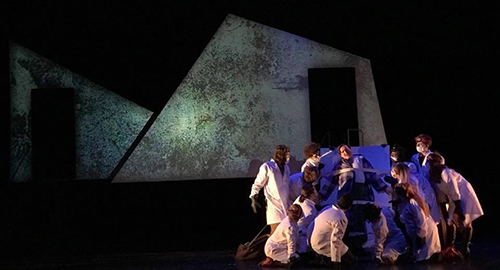 The minimal set, designed by Matthew D. McCarren and lighted by Steve Shack, featured Alex Pinchin’s brilliant projections, given extra texture and dimension by being shown on irregular panels that floated in and out between scenes. Singers and chorus became stagehands, moving tables and chairs on and off. (Overturned, those chairs became tombstones in the graveyard scene where Nick calls in his year-and-a-day deal with Tom.) Tom finally ends up in Bedlam. BW alum Benjamin Krumreig sang a powerful Tom Rakewell, even slightly overpowering faculty baritone Marc Weagraff, who brought suave assurance to his diabolical role. Giuliana Bozza nailed impressive high notes as Anne Trulove, though her vowels made at least one listener grateful for the English supertitles. 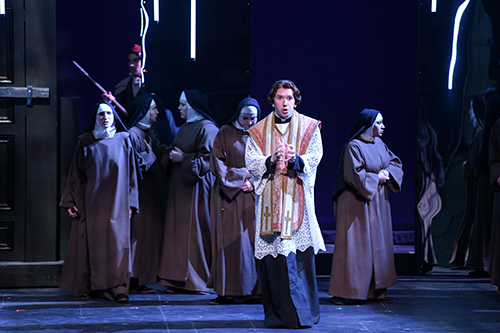 Jake Dufresne brought dignity and his compact baritone voice to Father Trulove. Gabriel Marpozan was splendidly provocative as Mother Goose, and Sarah Antell made a beguilingly bizarre Baba The Turk. 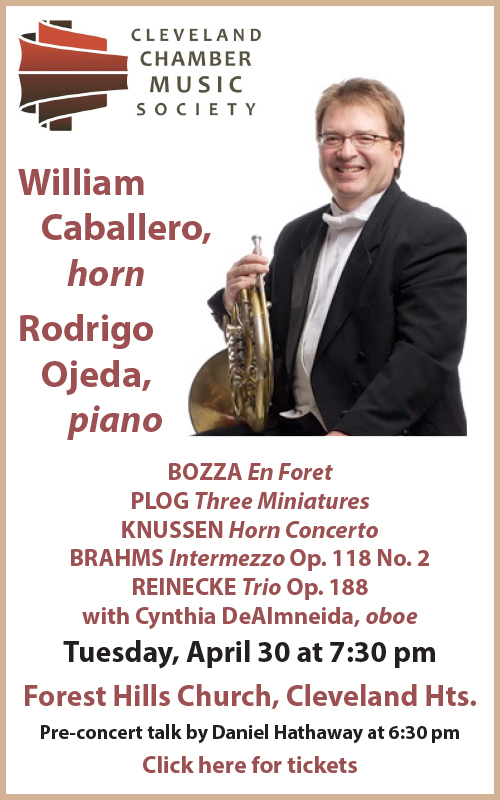 Guest conductor Domenico Boyagian led a relaxed but detailed account of Stravinsky’s charming, neoclassic score, handily keeping everything together — even the motley crew of whores and Roaring Boys, who were in fact models of precision. 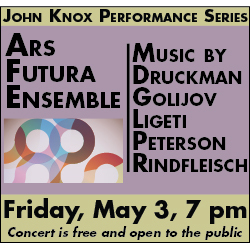 While Cleveland still lacks a full-time professional opera company, it’s good to see such satisfying productions being mounted by the area’s colleges and conservatories. CWRU/CIM photos by Roger Mastroianni. Oberlin opera photos by Yevhen Gulenko.